The Pampered Chef Roaster is a versatile piece of cooking equipment that is large enough to make a 4 lb. beef roast. The roaster is made from stone, so it evenly spreads heat throughout, allowing for an evenly cooked piece of meat. After your food is done, you can leave the roast in the roaster, as its stoneware material holds the heat from the oven, keeping your food warm. Cooking a beef sirloin top roast in the Pampered Chef Roaster is easy and provides a nutritious meal for you and your family. Allow the roast to warm up to room temperature. Do this by removing it from the 'fridge. Let it sit out for two hours. Preheat your oven to 550 degrees Fahrenheit. Lightly grease the inside of the roasting pan. Place the roast in the pan, fatty side up. Immediately reduce the heat to 350 degrees Fahrenheit and place the roast in the oven. Keep the roast uncovered and do not add any liquid. Cook the roast for 18 to 20 minutes per pound for a rare roast. 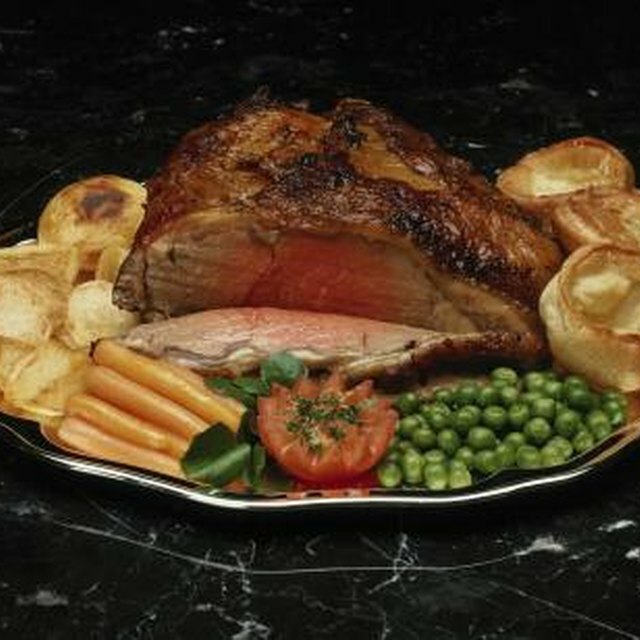 The internal temperature of the roast should read between 140 degrees Fahrenheit for a rare cut and 170 degrees Fahrenheit for a well-done roast. Using the drippings on the bottom of the pan, you can make a gravy for your roast. Simply combine 2 tablespoons of the drippings with 1 to 2 tablespoons of flour and mix well. Over low stove burner heat, add milk, water, cream or wine equal to one cup of liquid and continuously stir. Season the gravy with pepper, salt or your choice of herbs. Cook your meat thoroughly. 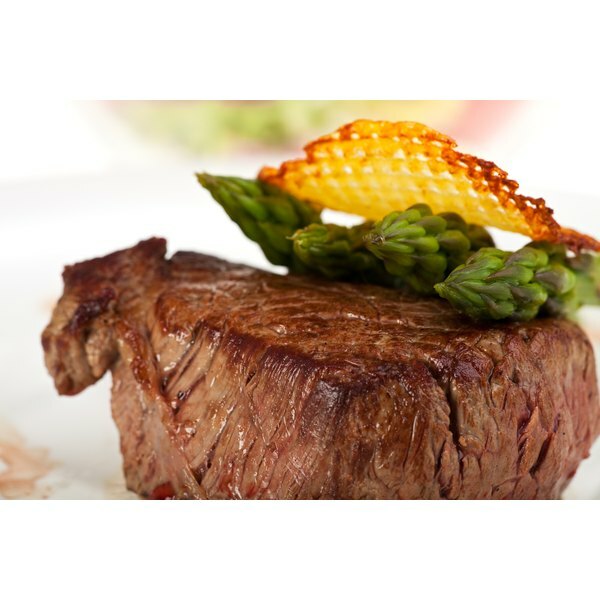 Eating raw or undercooked meat puts you at risk for ingesting a harmful bacteria known as E. coli. This can result in flu-like symptoms, including vomiting, fever and bloody diarrhea. Always use oven mitts to take the hot roasting pan out of the oven. How Long Does It Take to Cook a 12-Pound Ribeye Roast?